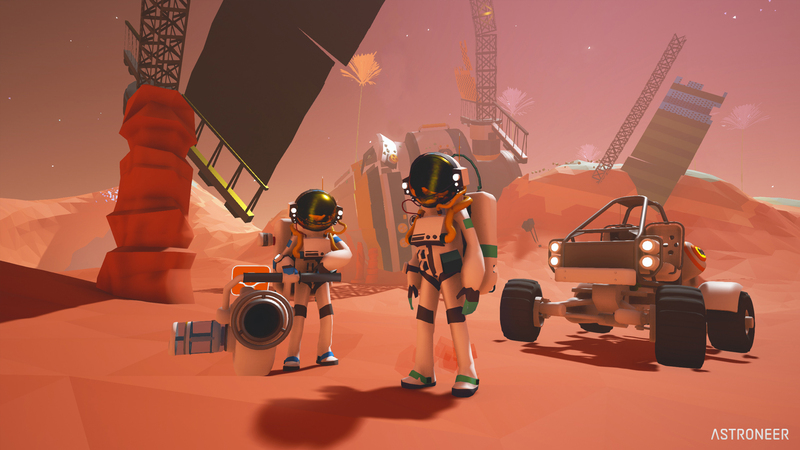 “Astroneer,” set during the 25th century “gold rush” and released in 2016, is one of the best open world games I have played. Players explore the frontiers of outer space, risking their lives in harsh environments to strike it rich. Players are also tasked with colonizing planets, creating structures and mining resources. The player’s most useful tool is their ability to shape their world and extract valuable resources from planets and moons. This is a game where you let your imagination run wild and break the limits of endless possibilities. The resources you get can be traded or crafted into new tools, vehicles, and modules to create everything from giant industrial bases to mobile rover bases. You can create rockets to discover new planets. Each planet contains its own unique hazards and biomes. Natural disasters usually occur so the first thing you should do is use your terrain tool to create a base. One of the most common resources you can get is resin. Resin is something you can use to make tethers, an item that can help you restock your oxygen and power. If you’re going to explore the frontier, you would deploy a tether right next to the base and place tethers every 5 seconds when you are walking farther from the base. If you have a vehicle, that can also help keep you alive. It is very hard to make a vehicle. You will need a seat, and a seat cannot be made, it has to be found. You can find seats in crash landed things, which is really rare. You will need generators, turbines, and solar panels. The generator will help power the vehicle. The turbine is for producing continuous power in which a wheel or rotor, typically fitted with vanes, is made to revolve by a fast-moving flow of water, steam, gas, air, or other fluid. The solar panels will help the vehicle get power. The last thing you will need to make a vehicle is a vehicle base. The type planets you could possibly land in are Terran, a safe haven and mild dangerous caverns. Barren, the moon of terran. There is not a lot of resources you can get and there are nothing dangerous there. Exotic, a place with erratic terrain and hostile flora spawns along the surface. There are also frequent storms. Arid, a hazardous desert planet filled with Tumblespikes that roam around the surface. Sandstorms occur often. Radiated, the planet closest to the sun, has worm-like creatures that roam around the surface of the planet. The last planet is Tundra, the coldest and one of the safest planets. The best resources you can get on that planet are marble and ammonium.